From the time that George King swam with his first Whale shark in 1969 until now, a lot remains to be learnt about the Whale shark (Rhincodon typus). 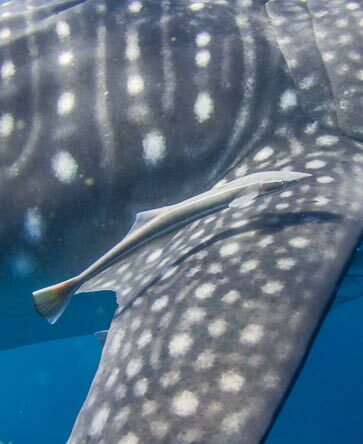 The Ningaloo Coast provides the best opportunity in the world to encounter whale sharks, the world's largest fish, together with globally significant populations of iconic marine megafauna - manta rays, dugongs, marine turtles, humpbacks, other cetaceans, rays and sharks. It is for this reason that Kings Ningaloo Reef Tours are happy to contribute to the ongoing research into Whale sharks in any way that we can. A percentage of every Whale shark tour fare that is sold contributes to whale shark conservation management and research. The Department of Biodiversity, Conservation and Attractions manage the funding received and its distribution. Your tour sales fund education and interpretation programs, research, monitoring and licencing and compliance. Another way that Kings participate in Whale shark conservation is via a partnership with ECOCEAN. Ecocean is a globally recognised, non-government, not-for-profit organization based in Western Australia working towards scientific research, education and conservation of the marine environment. Established in 1995 by marine conservation biologist Brad Norman, with participants from 54 different countries, all contributing to furthering the research and knowledge of this threatened species. Brad and his researchers are regularly found onboard the Magellan and our company has assisted them in countless tagging operations. Join a Ningaloo whale shark interaction tour—part of your fees go towards whale shark conservation and research. Follow the code of conduct when watching whale sharks. Reduce your boat's speed in areas frequented by whale sharks, and keep watch for them, especially during the whale shark ‘season'. Submit photos to the ECOCEAN photo identification library to give scientists information on population numbers and movement patterns. Never discard fishing line, nets, plastic bags and other rubbish anywhere, especially into the ocean. Collect and dispose of any marine debris you come across. Contact local community groups or government departments involved with whale shark conservation to see how you can help. Refuse to buy or eat whale shark products such as shark fin soup and whale shark meat (tofu fish) when overseas. 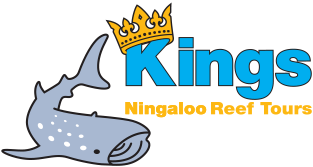 Kings and the Whale sharks of Ningaloo Reef Thank You!